The Side Effect is a leather gun holster. 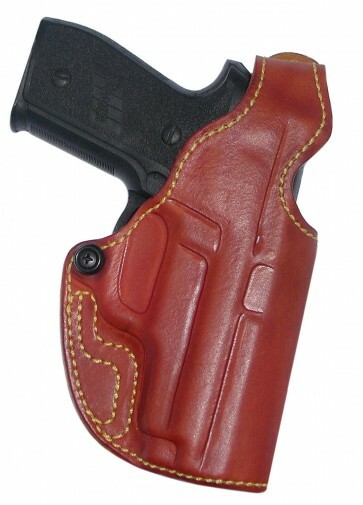 It combines proven design with High Noon quality and is molded to the gun you order it for. 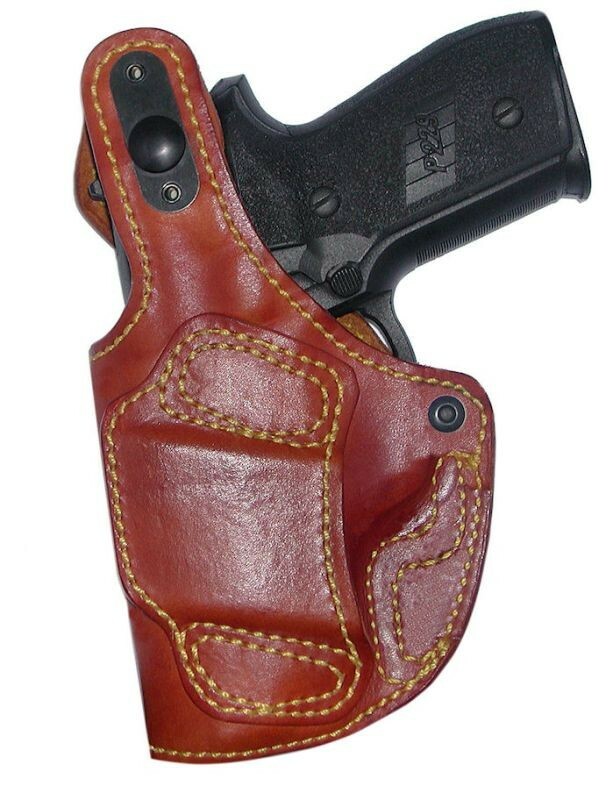 It features an open muzzle design, stitched in sight track, 15 degree forward cant, tension screw for adjustment of the draw, reinforced thumb break, covered snap to protect the guns finish and a single hidden belt slot on the back of the holster for a slim profile carry. 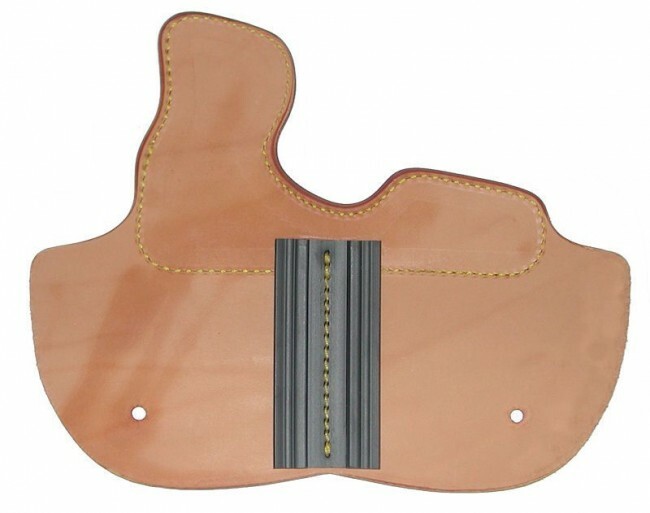 The recommended carry positions to wear this leather holster are 3,4,5. It is made to fit either a 1 1/4" belt or a 1 1/2" belt and is available in right or left hand designs, tan, black or natural finish in cowhide. In horsehide, black or natural finish. (Tan Lined Pictured) The Side Effect is custom made holster and is not a stocking item. We do have a RUSH SERVICE available if you do not want to wait.